It is almost time for the Great Fast (Lent) before Pascha (Easter)! I love this graphic that I've seen all over social media. 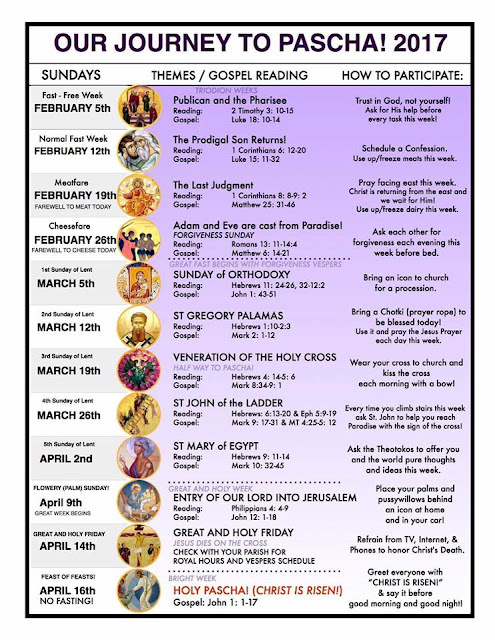 I believe it was written by Fr Daniel Rogich..... so many awesome ideas to implement, and it is nice to have our readings for the season in one place. 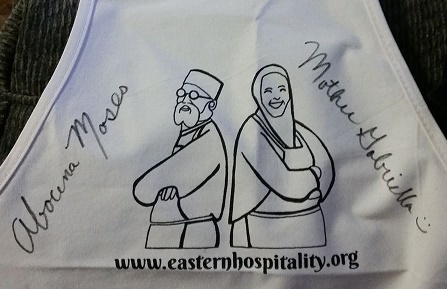 Have you visited the great new website: Eastern Hospitality? Abouna Moses and Mother Gabriella give instruction on making delicacies, some that are fast-friendly. In the middle of each episode, there is a theological teaching. They have clearly worked hard on this project. Please like and share and learn more about Eastern Christian hospitality! They had a great episode on the Christian discipline of fasting- click here for this episode that might convince you that our fasting seasons are God's gift to us. Great work, Abouna and Mother!